Hello friends! 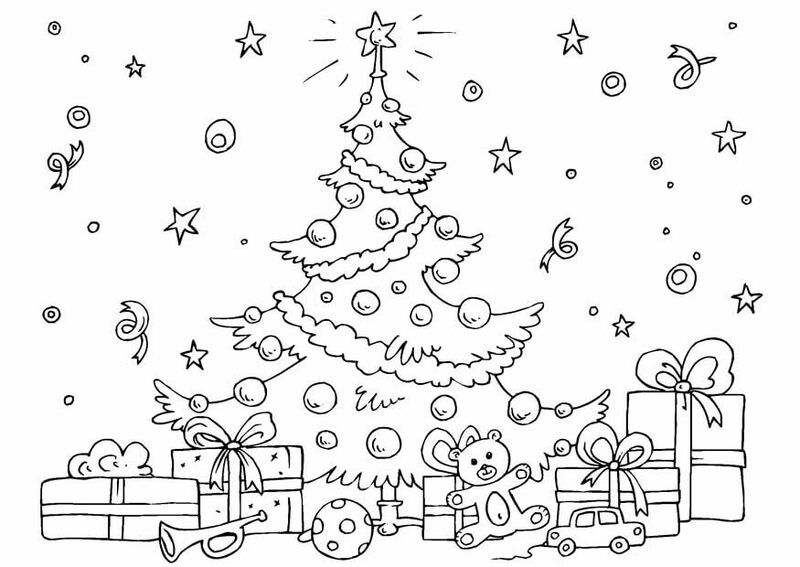 Today we’ve got you a collection of free printable Christmas tree coloring pages. The last month of every year gives us the opportunity to celebrate, have fun, feast and come together with family and friend. Christmas and the New Year celebrations are the two occasions which are celebrated all over the world by billions of people. 25th December is an important day as this is celebrated as the birth anniversary of Jesus Christ every year. Many religious and cultural activities take place to observe the birth anniversary of the Jesus or the anniversary of God incarnating himself as the human. Christmas is celebrated traditionally by decorating the homes, churches, streets and other surrounding places. Christmas tree, Santa Claus, gifts, etc. are some important notions that symbolize Christmas. This is the time when every member of the family irrespective of their age actively participates in celebrations which involve decorations, preparation of special foods, wrapping gifts etc. 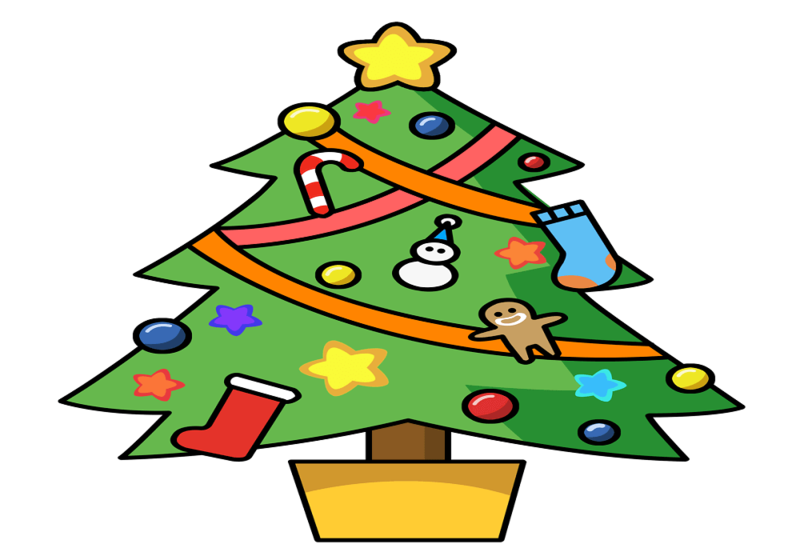 once again families have come together to make arrangements for the Christmas celebrations. 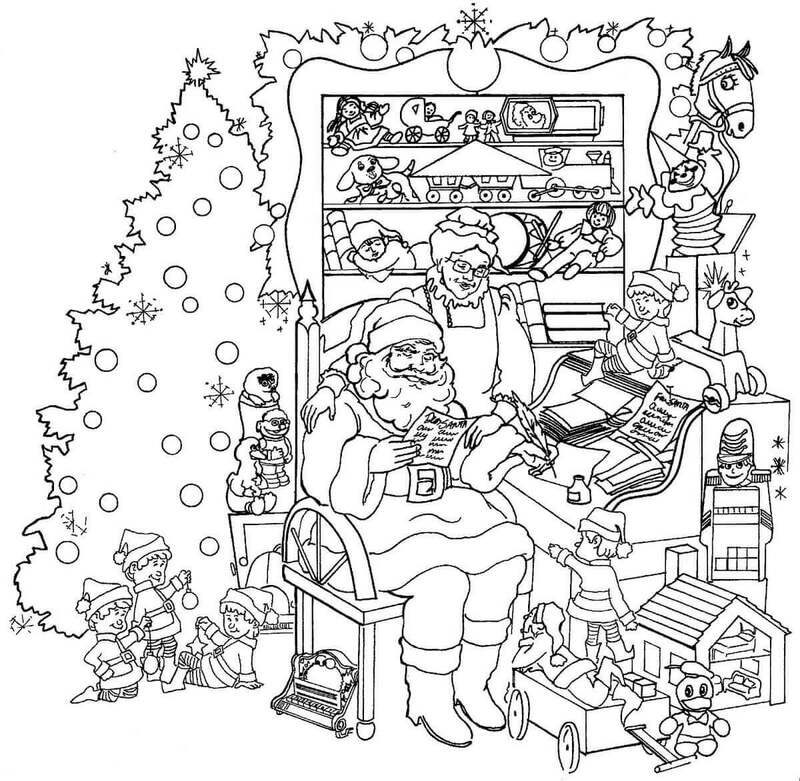 Hey kids, you can also register your participation by taking up the job of adding beautiful and lively color on our free Christmas sheets to print. Look how empty the image is. Get ready with your paint and brush and give this Christmas tree a feel of celebrations. Use glitters to show Christmas balls and gifts. This will remind Santa that he is welcomed here with Gifts. 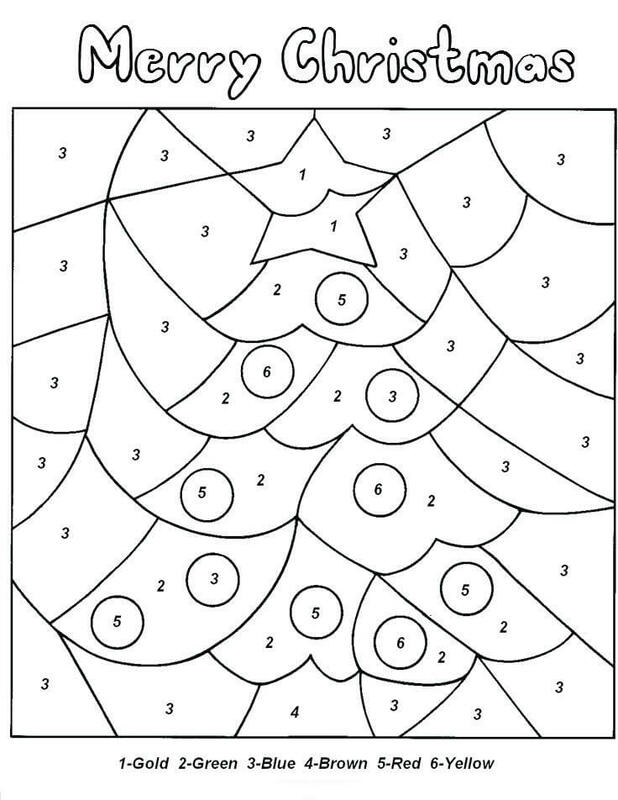 Each number has a specific color code and all you have to do is to color each number with the right code. Just keep doing so and you will be surprised to see the result. Meanwhile, you can guess what exactly the image holds. Little Johnny is taking a close look at the Christmas tree to ensure that the decoration work is going smoothly and not even a single branch is left without decoration. As Johnny is up to his work, it’s time for you to get to your work. And your work is to make sure every part of the image is colored beautifully. 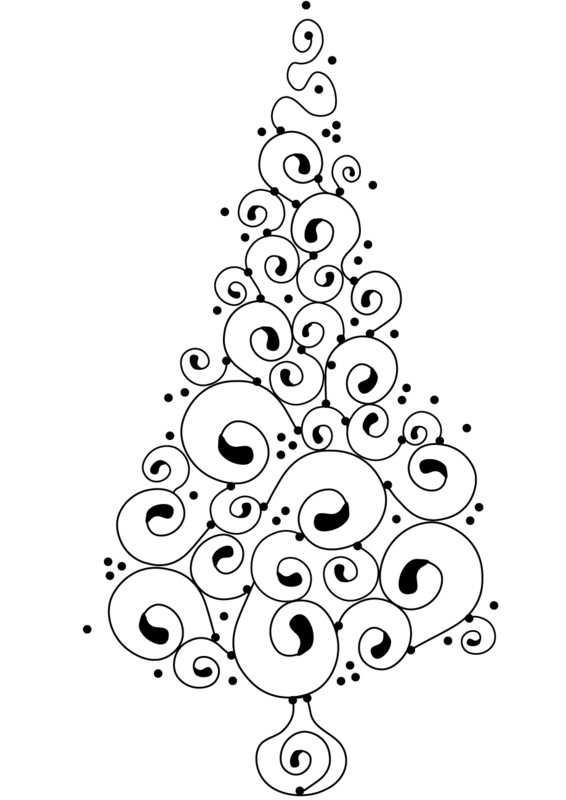 This image could be the best Christmas Tree if you fill it with different colors. All the ornaments, balls, gifts and stars are kept at right places and waiting for the final touch. Give that final touch by coloring them prettily. The reindeer looks excited at seeing Jack and Jill doing the decoration work. The two kids are busy in wrapping the gift packs as Santa has to deliver them to all around the world. 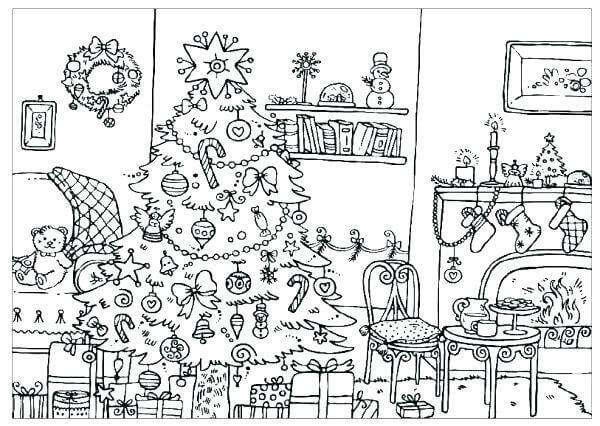 While Jack and Jill are busy in wrapping, why don’t you take up the task of coloring the Christmas Tree and other pictures? This would be a great way to show your interest. What a beautiful piece of an artistic Christmas Tree. You can also take the imagination of the Christmas tree to another level by giving colorful strokes to the tree. 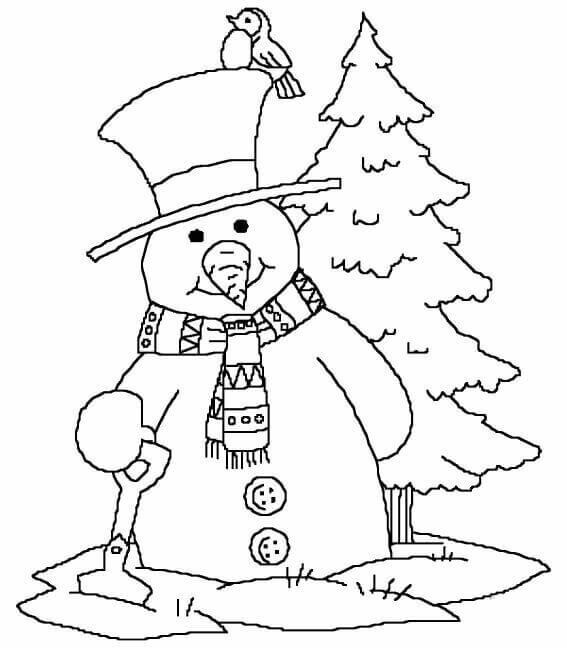 It has been a long time since the Christmas tree and the snowman is waiting for themselves to be colored. The snowman is asking people to hurry up. Why wait for other when you are ready with your colors. 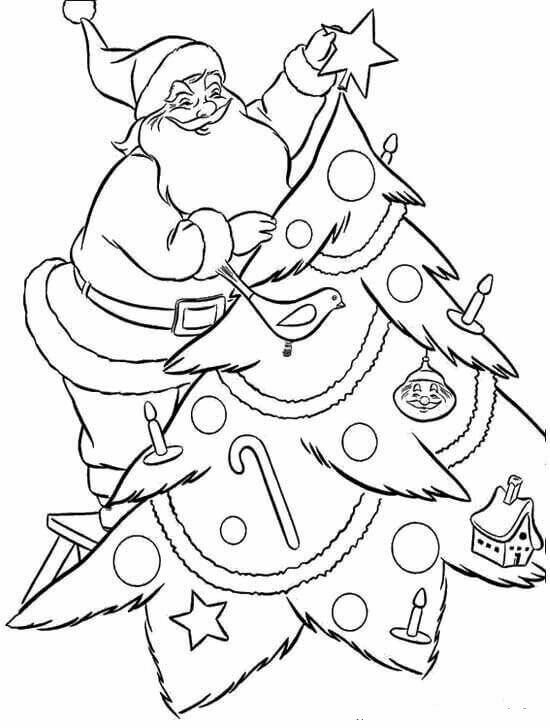 Make the Christmas tree and the snowman happy by coloring them. Little Jack is excited to see the exhibition depicting the significance of Christmas while Johnny makes sure that Christmas tree decoration is complete. He has found that one ball is to be added at the top branch of the tree. Christmas is a time for celebrations by all, including trees. The Christmas Tree is exhibiting its excitement that it is going to be decorated with all the ornaments once again. It is also happy that little kids like you will color it beautifully to look more attractive. 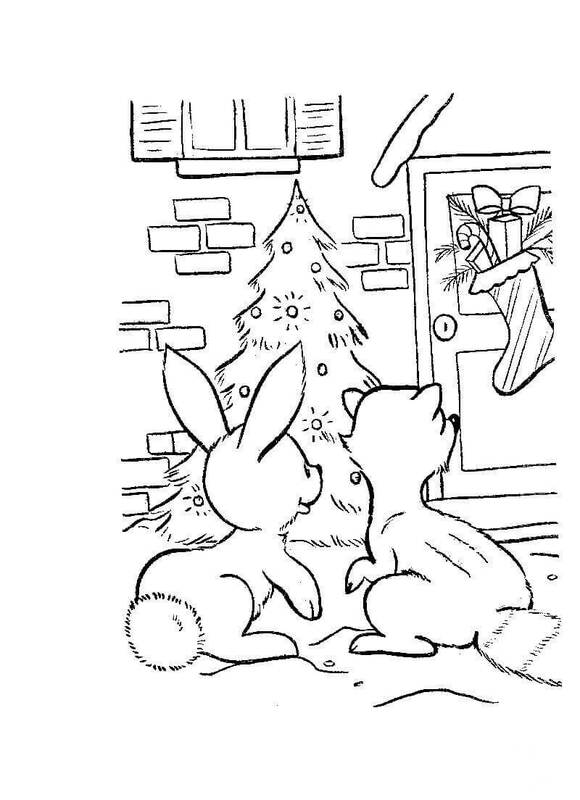 Chikoo rabbit is astonished to see the beautiful tree and asks Ginni why it is decorated? Chikoo and Ginni decide that they will also decorate the Christmas tree next year with beautiful ornaments to catch the attention of Santa and Santa will give gifts them too. The gift pack is too big to be hanged on the Christmas tree. So Santa has made the teddy bear hold the gift. Santa has also put his cap on Teddy’s head to tell you that he has left the gift for you. 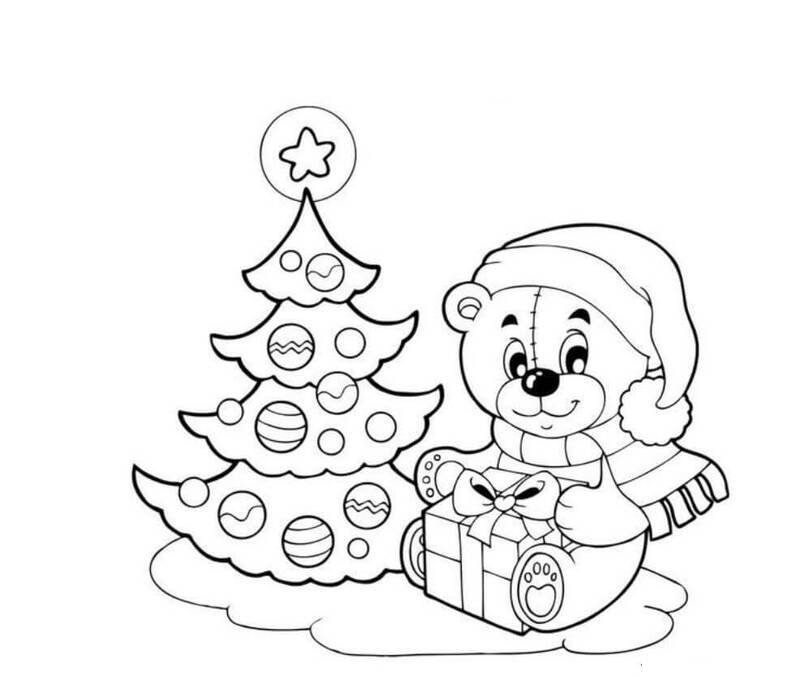 The bright-eyed teddy is waiting for you to color them. Little fairy has descendent from heaven to see the Christmas celebrations. She found that the decorative star is missing from the top of the Christmas tree, so she put the star form her magic wand on the tree. She has done her job and you finish your job of coloring this beautiful image. The decorative ornaments have arrived and now it is time for decorating the Christmas tree with these ornaments. 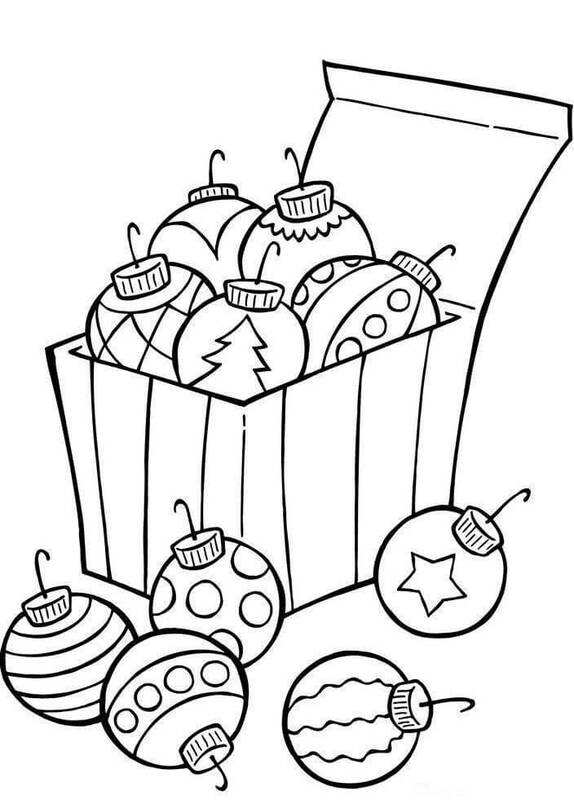 First, add lovely colors to these ornaments to give them an attractive look and then place them at the Christmas tree. 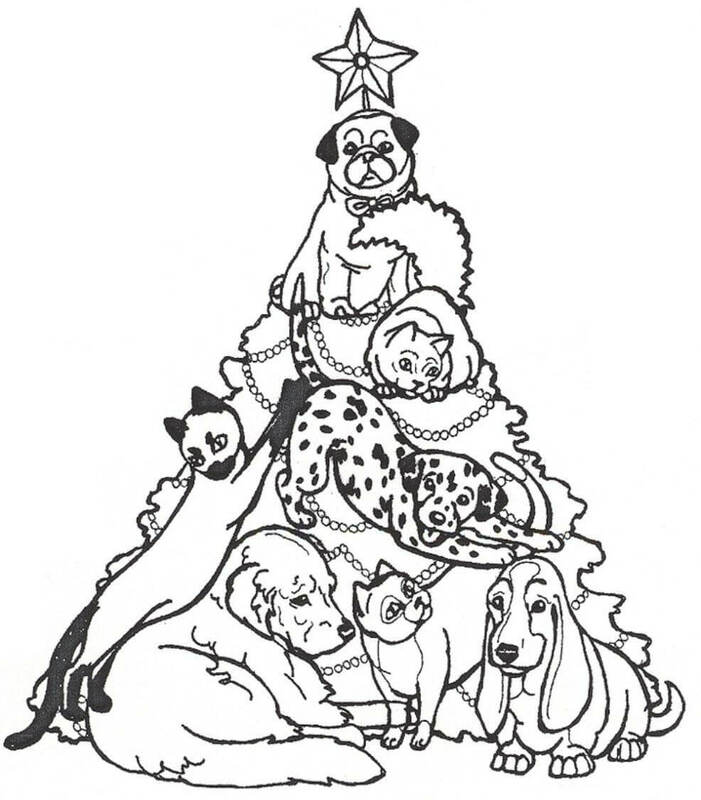 Why animals should lag behind in decorating the Christmas tree? They know how to add the color of life to this Christmas tree. What colors have you decided on these cute animals? Count the number of animals and color them. Little Chucky has found a way to bring Christmas tree home in this biting cold. Let the star on his wand is illuminated with divine light that brings prosperity to his life and leads him on his journey of life. 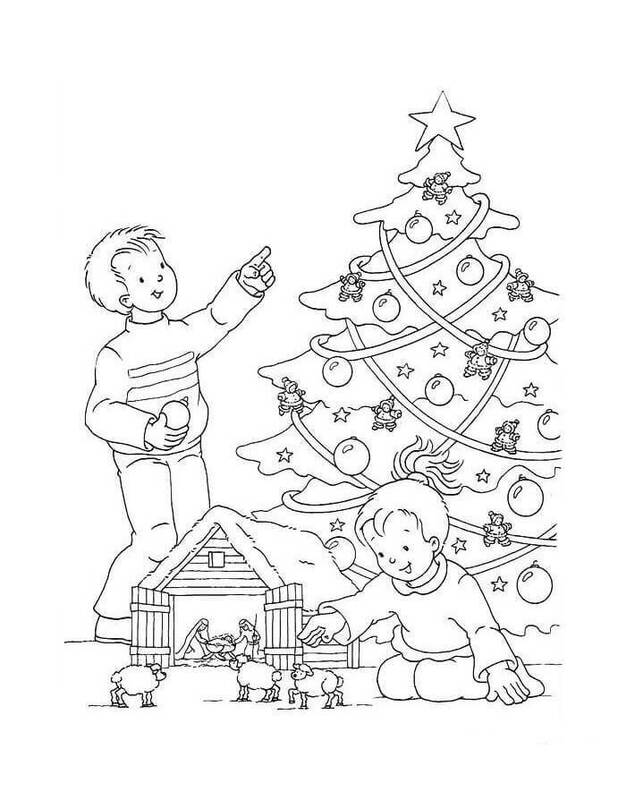 Little Peter and Pinky have to find out how many different colors are used in ornaments and gifts on this Christmas tree. But they are finding it hard as there is no color. 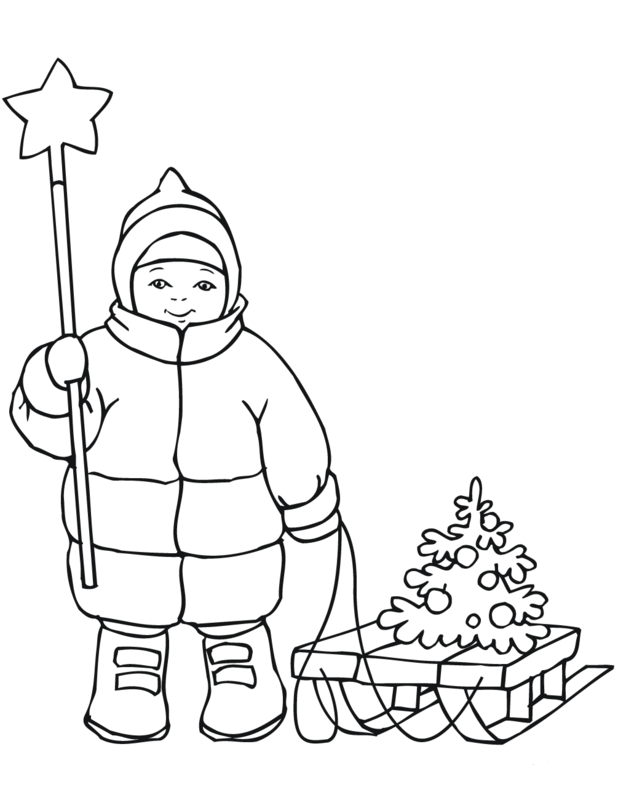 You can make their task easy by coloring this image with different colors. This Christmas tree has a gift for all including Tommy. All Tommy needs to do is to jump with little extra strength to grab his gift. Give his gift an attractive color so that Tommy puts more energy in his attempt. The decoration of the Christmas tree is in full swing at Disney World. The three little ducks have made sure that all the branches are decorated beautifully with ornaments. Two ducks are busy in arranging the gifts while one is hanging them on the branches of the Christmas tree. 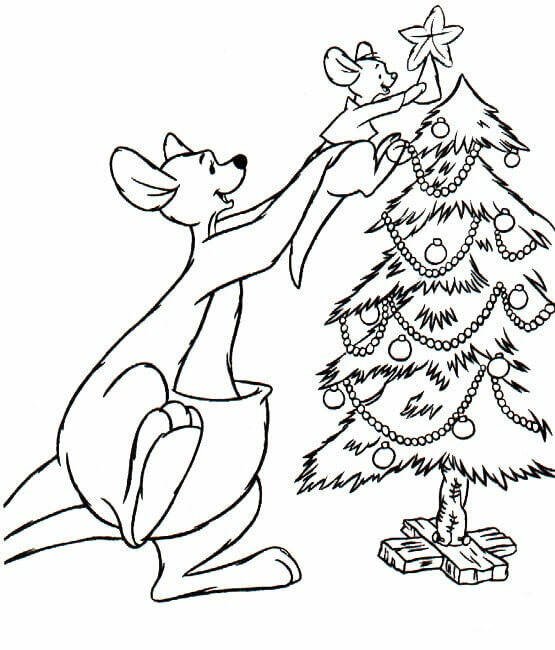 The mother kangaroo has come a long way with her baby and the Christmas ornament inside her belly pouch. Every mother aspires to see his little one on the top of the world and see the little kangaroo has reached the top to crown the Christmas tree. The decoration of the Christmas celebrations are over but something is still missing. Where are the colors of joy and celebrations? It is now your turn to make the tree look like a tree, gifts look like gifts, etc. by coloring them. The Grinch has once again appeared to steal the Christmas tree with all its ornaments. The little girl knows nothing about him. How would her gift be saved then? There is one way to identify the Grinch if it comes in his real self. 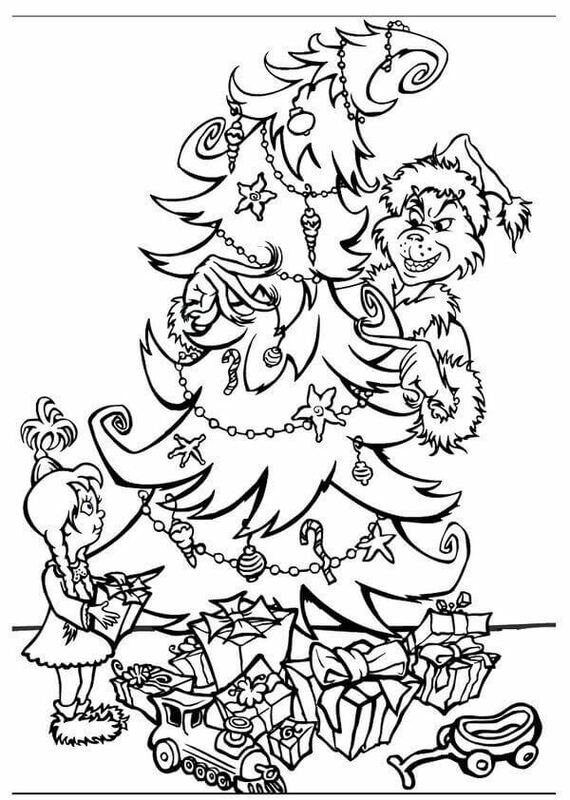 You can help the little girl if you color the Grinch in his usual color – Avocado Green. Hello, Kitty has put a lot of efforts in decorating the Christmas tree. Just one stocking is left to be dangled. While she finishes her decoration work you can also start adding color to her efforts so that her work looks more beautiful. 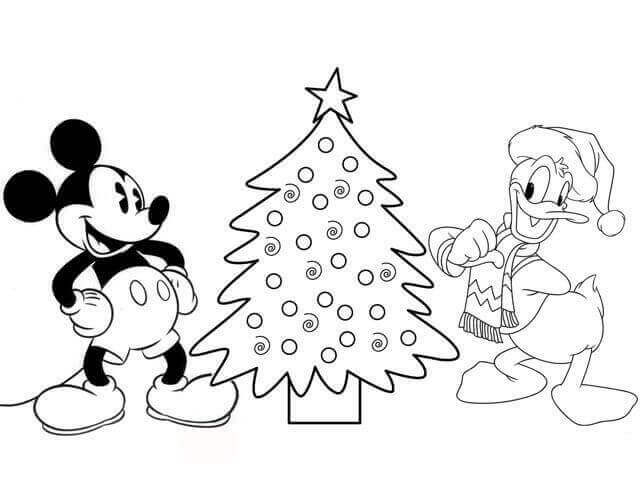 Mickey Mouse has erected the Christmas tree correctly and he is happy to see his work. The next job of decorating the Christmas tree rests with Donald Duck, who is ready for this job. Let’s see what all items he puts to decorate the Christmas tree. Mrs. Claus is a perfect partner of Santa Claus in the true sense. She has made all the arrangements for the gifts distribution by Santa Claus. While gifts are ready Santa Claus is making a list of contact details of those who would receive these gifts. While they are busy in their work, you can start coloring the image. The little pony always wanted a Christmas tree for herself and her wait is over as Santa has brought a Christmas tree for her this Christmas. 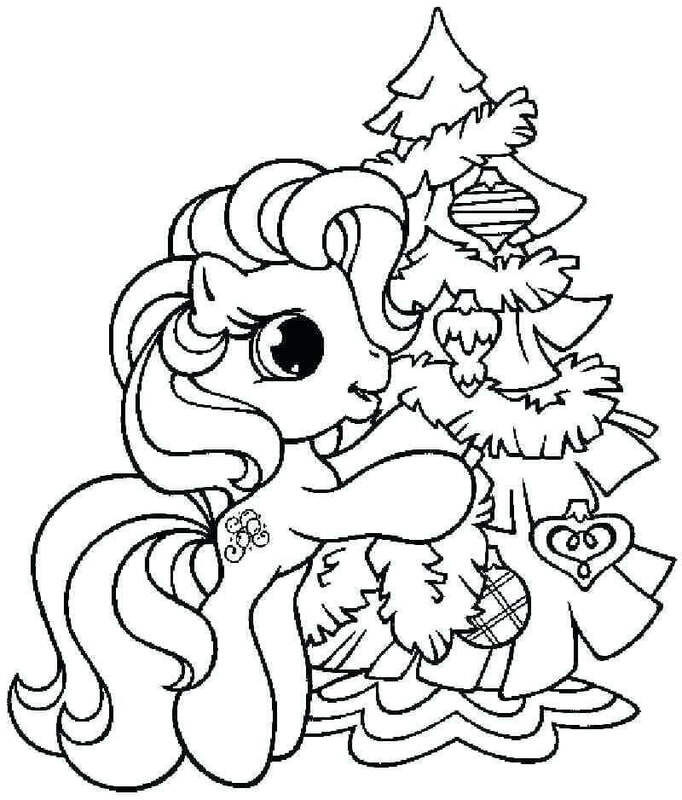 The little pony hugs the Christmas tree as it is her best Christmas gift. Do you know a Christmas tree can walk and dance itself? 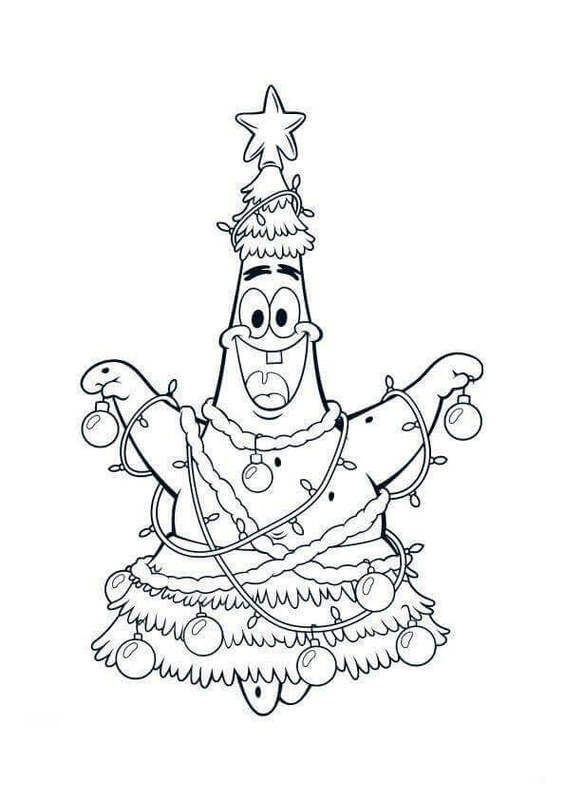 This is possible when Patrick decorates himself as a beautiful Christmas tree. 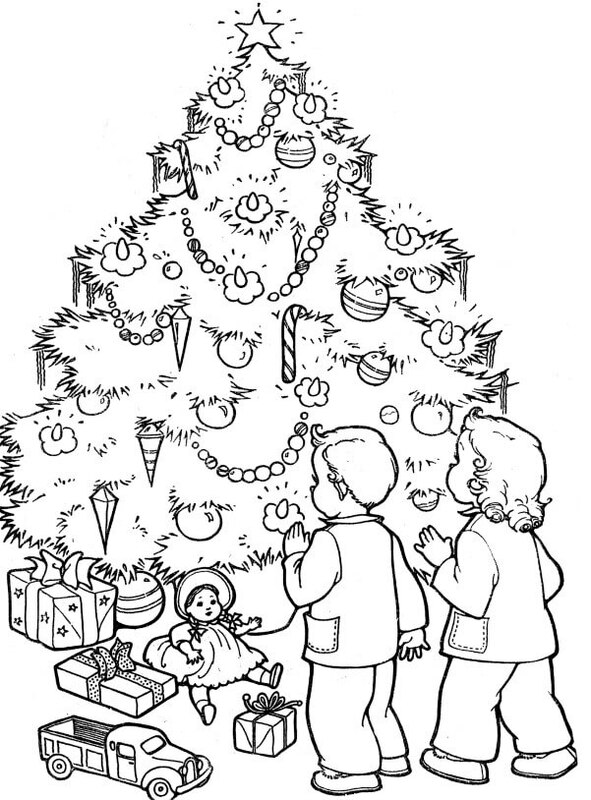 While coloring this image count the number of branches of this live Christmas tree, if possible. When Disney characters are participating in decorating the Christmas tree why Pooh be left behind. He has taken up the job in good spirits and is headed towards his place where he would decorate the Christmas tree. This Christmas tree in the forest compels the passersby to stop and have a look at it. The animals are wondering to see the Christmas tree in an unusual way. The decorated Christmas tree is the center of attraction in this forest. It can become even more attractive if you give it beautiful colors. Uncle Morris is assigned with the task of Christmas tree decoration this year. 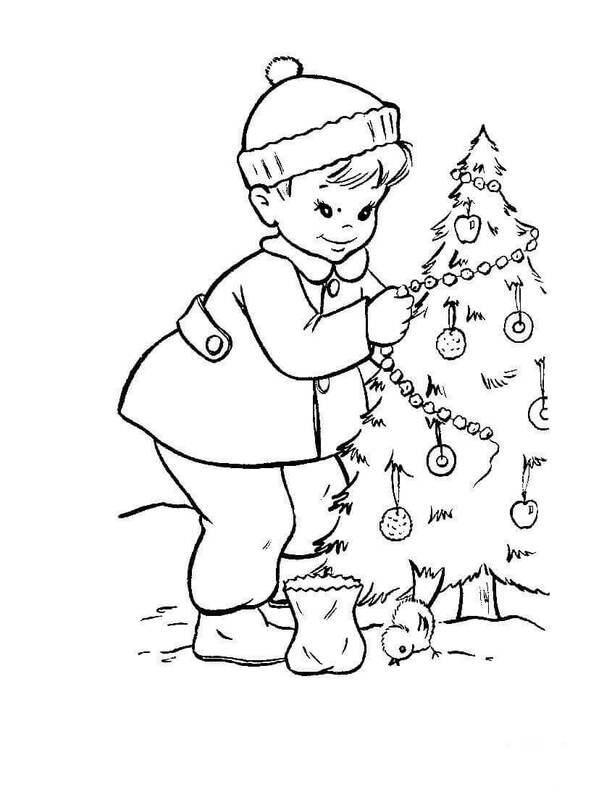 He has hanged the balls on the branches of the tree but could not find the star for crowning the Christmas tree. It seems he has plucked a real star from the sky for this decoration. After all, he is committed to doing the job with utmost satisfaction. If you are happy with him show it with your colors. 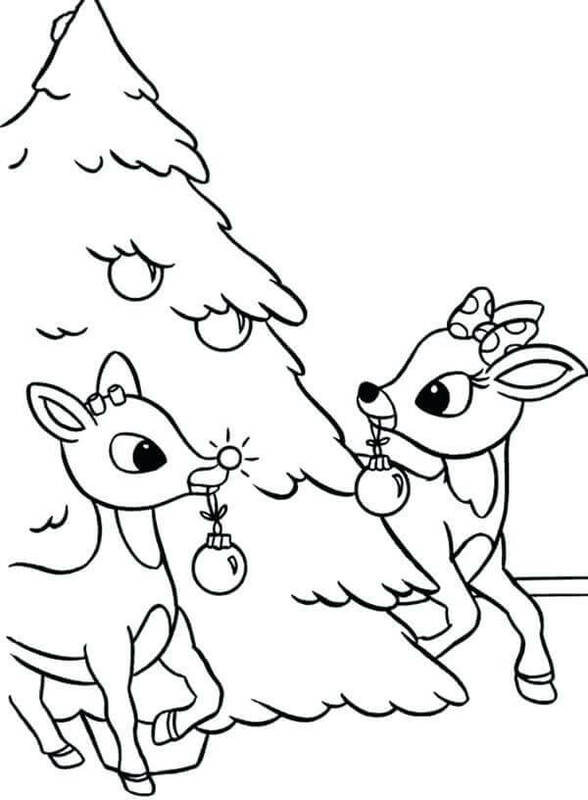 Two little reindeers are busy decorating the Christmas tree. They have to ensure that they have decorated each branch of the Christmas tree with colorful balls. Once they complete their work they will pull the sleigh of the Santa Claus as Santa is waiting for them. The reindeer has asked the Santa Claus to check if he has decorated the Christmas tree with perfection or not. Reindeer is contended to see that Santa is actually happy to see his work. 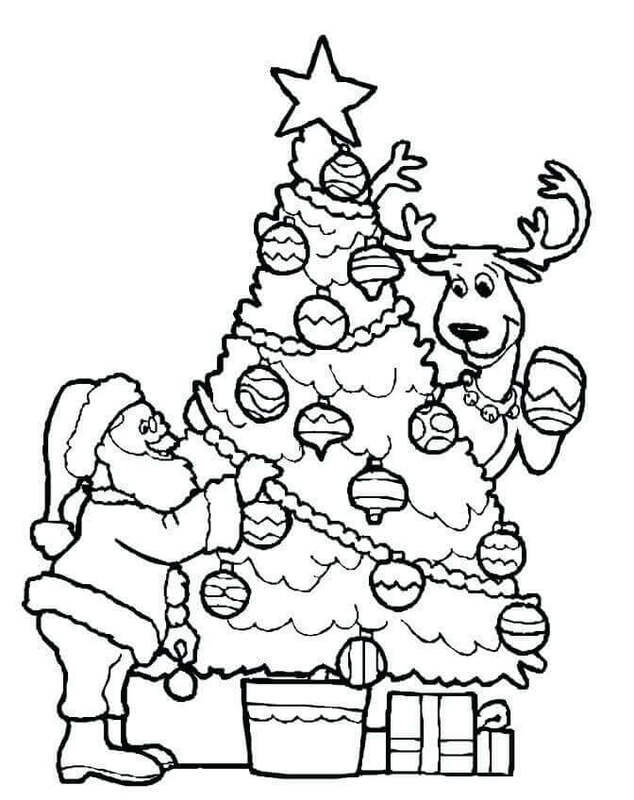 The work of reindeer will become more attractive if you add some colors to the Christmas tree. Mrs. Claus wants to capture the moment where Santa is lying happily on the chair with the Christmas tree at the back. This happens every year when Santa comes home after delivering all the gifts on the occasion of Christmas. The Christmas tree at the house of Santa is very big because a new branch is added to it every year. Now it has grown up to the sky and Santa decorates its top with a real star because he can easily touch the sky at this height. Can you imagine how the Christmas tree would like when it goes beyond the sky? 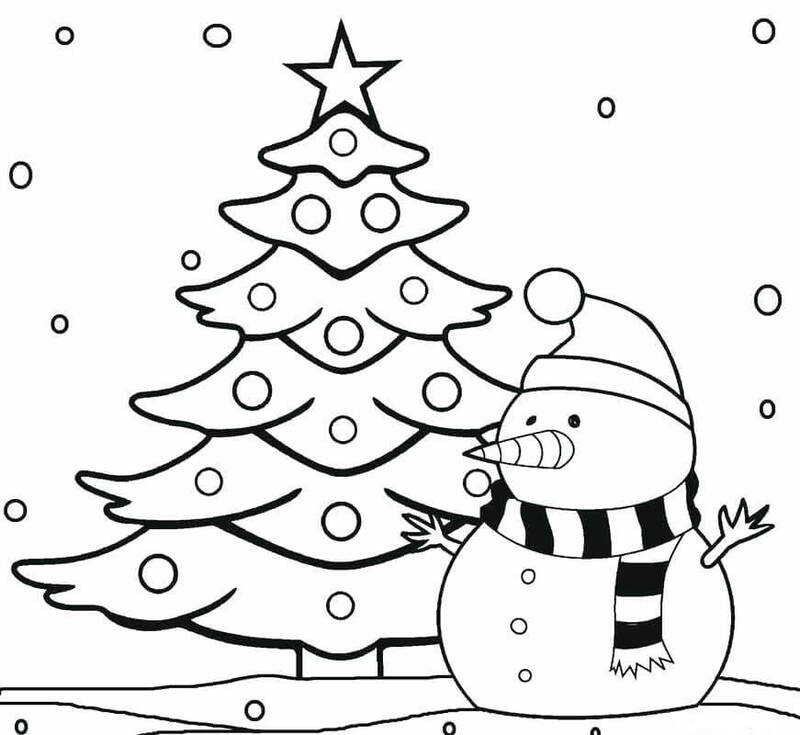 The snowman has asked the little bird that first he will decorate the Christmas tree and then she can sit on the tree. First, the snowman has to dig the ice to bring out the decorative ornaments that he has kept buried under the ice. He practices the same process every year so that the ornaments are kept safe. The SpongeBob is set on the expedition of celebrating the Christmas this winter. The SpongeBob SquarePants is no squarer in shape in this image. It has taken the triangular shape of the Christmas tree and seems quite happy in this new transformation. Make it happier by adding color to this image. The Christmas tree symbolizes life as it is green and full of vibrancy even in the biting cold. The colors and decorations of the Christmas tree have some symbolic significance which you should learn to understand its true meaning. Our life shall also be colorful and decorated like a Christmas tree as it is a precious gift given by God. While we add colors to our life we should not forget to include the poor and backward into our celebrations as this is what humanity teaches. It is our moral duty to ensure that we have effectively discharged our duty of spreading happiness. 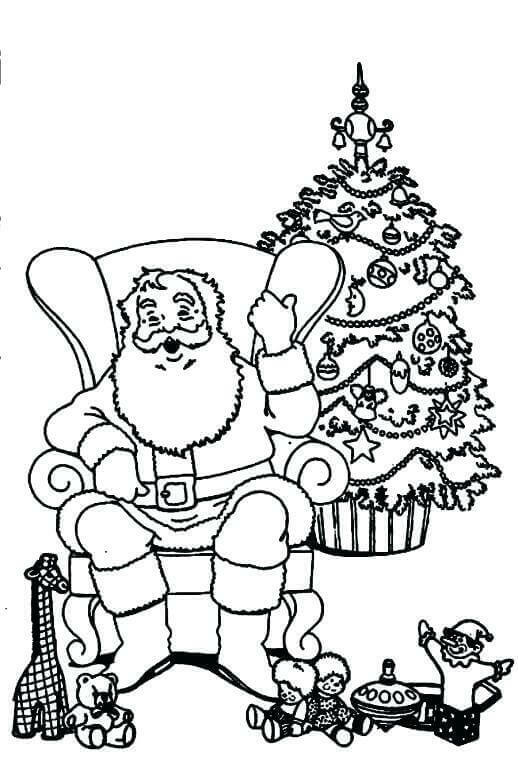 And don’t forget to share your favorite Christmas tree coloring pages printable with us.